Church wedding flowers have to be dimensional, meaning the flowers have to come out from all directions. 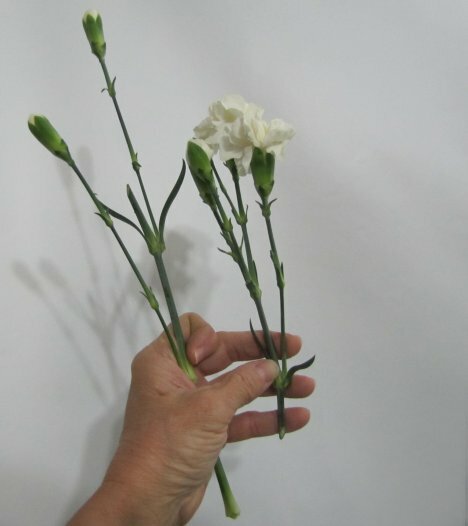 I cut another long stem of spray carnations apart for placement. 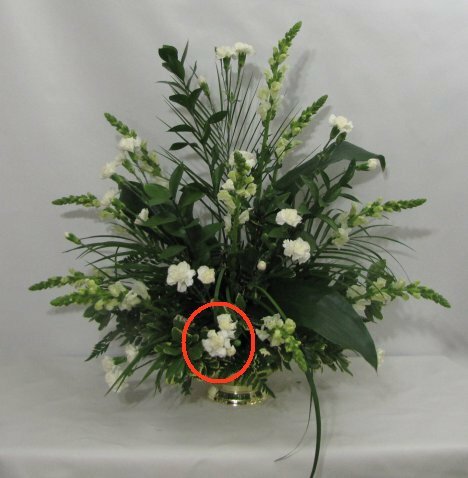 The flower heads are set straight inwards, facing out on the front of the design on the bottom. 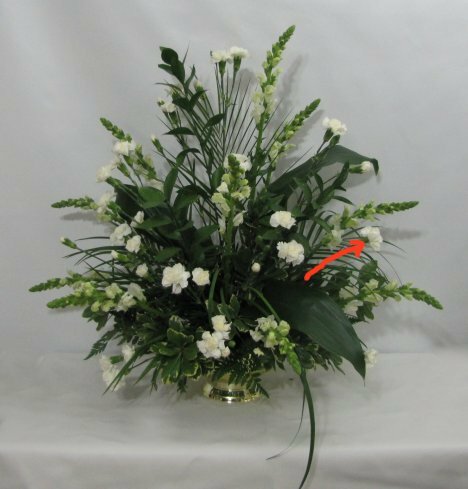 I use the longer stem with the buds to fill in towards the upper back of the flower spray. Continue filling in until you have used all your miniature carnations. 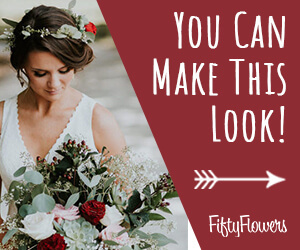 It is a good idea to count out ahead of time and plan a recipe for all your flowers and bouquets. 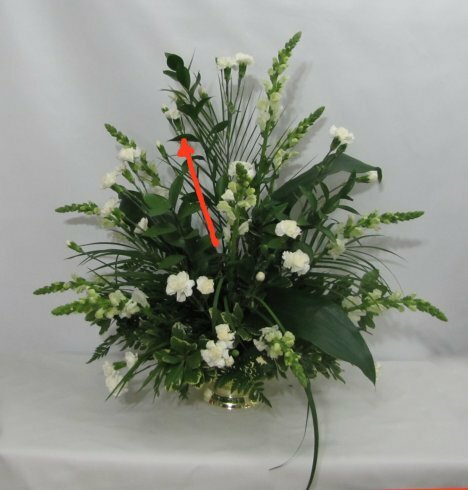 Without a guide like that, you may overuse your flowers and run out of enough blooms for your final arrangements.